In an extremely long interview with 4Gamer, Sakai spills the beans on some of the future content heading to the game. 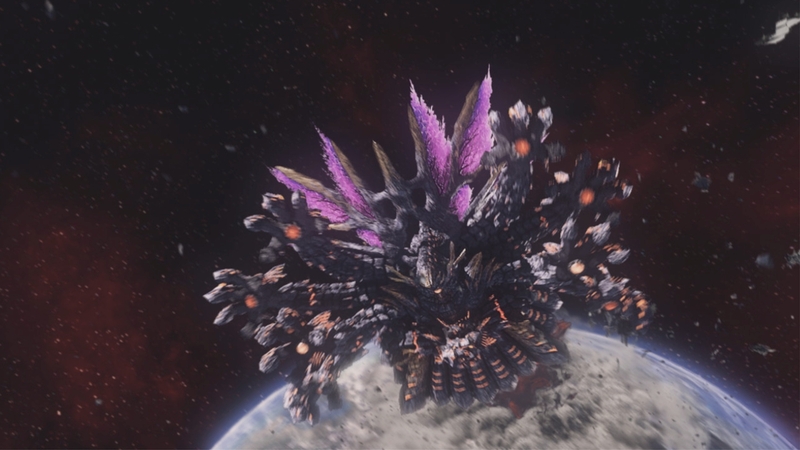 First let’s talk a little bit about that Dark Falz quest coming up next week. 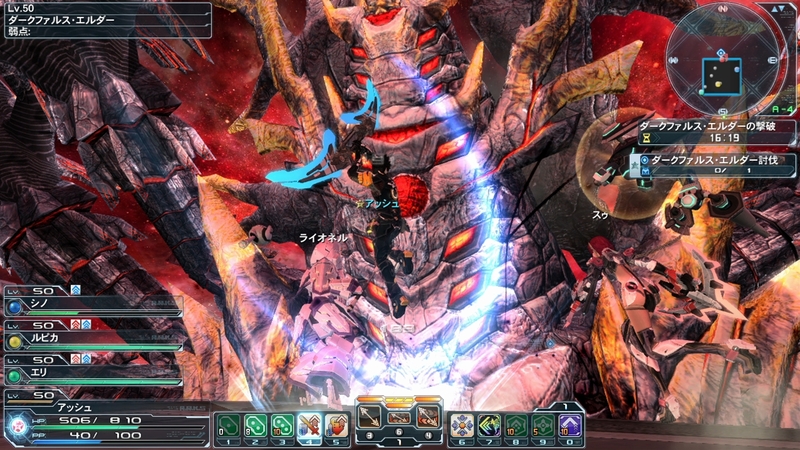 Sakai has always wanted to make “Maximum Attack” type quest for PSO2 and this has finally become a reality with our Dark Falz battle. 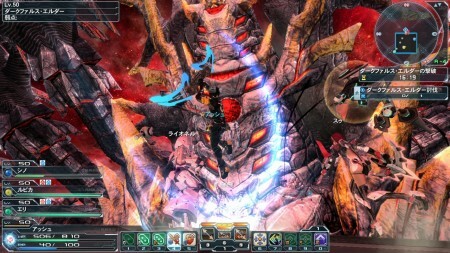 The battle itself is set in two stages where you first face Falz Arms, and then you’ll go up against the head honcho Dark Falz Elder. The first battle is a 12 person multi-party quest similarly to Big Vardha. Everyone (united) will battle against Falz Arms within the 30 minute time limit. 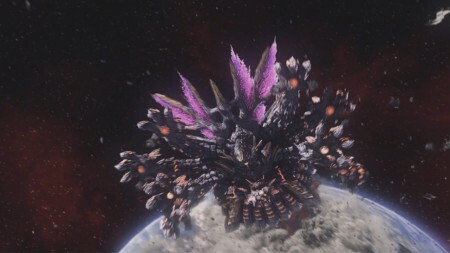 If enough of these Arms are not defeated in time, you will not proceed towards the Dark Falz Elder battle. Right when Dark Falz appears, you’ll see announcements like “Dark Falz is getting closer…” Every 5 minutes, a message will pop up telling you what percentage he’s defeated. This quest is available on all difficulties from Normal to Very Hard mode. Even level 1 players can participate though Dark Falz will be around level 20 on Normal Mode. 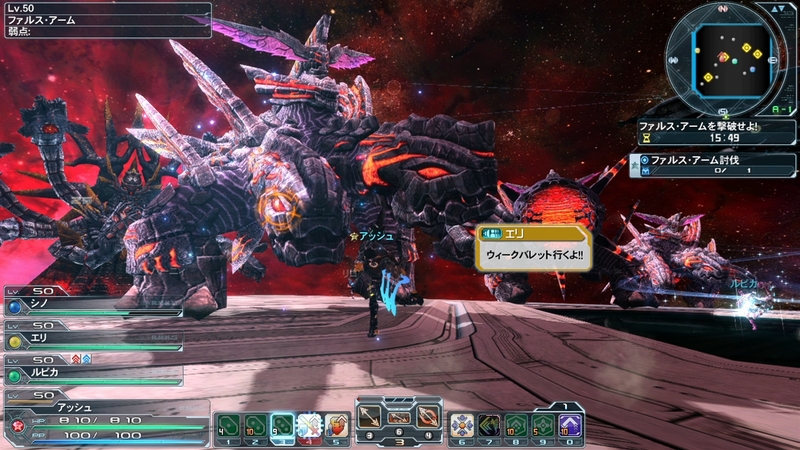 The game will automatically generate a set goal players must reach to unlock Dark Falz Elder. 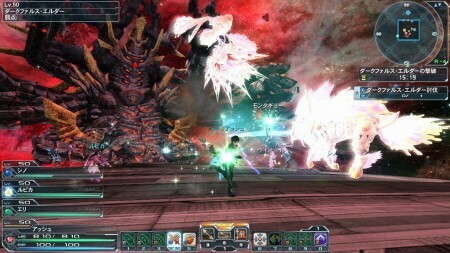 This goal is based on the amount of players on the ship when the emergency quest initially becomes available. The last update for this year will be on December 26th, which will release with a New Years scratch. They are planning to celebrate the New Years by changing the lobby at the stroke of midnight. So if you were to stay up on New Year’s Eve, you’ll see the lobby transform in real time with a Shinto shrine in the center. The final update for “Where Darkness Gathers” is set for January 9th, around this time they’ll introduce a new system update. Basically this new update will introduce something where “Darkers will create clones of Arks they’ve kidnapped.” But they don’t have a name finalized yet (internally it is called Code: Clone). There will also be something like an “Escape Quest” where players are suddenly transferred to the Darkers Nest. As the name implies, you’ll have to escape to clear this quest. Unlike normal quests, you cannot return to the camp ship, so if you retire you’ll have no choice but to return to the lobby. Darkers will make clones of players who’ve cleared the quest and turn them into enemies. The Dev team internally calls them “ARKS Clones.” How it works is that the Darkers will seek out the most “excellent” er.. elite ARKS and make clones of them. You’ll even see their names and title. Those who were cloned will likely see themselves. Since the clones appear in such a rare emergency trial, you’ll receive photon spheres for clearing it and you’ll get even more if you defeat your own clone. You could get a title or something to the effect that you’ve “defeated oneself.” If your character was cloned, it will take the appearance of your character, use your photon arts and skills, and even use your auto words. This system is supposed to give the impression of PvP without directly enforcing it. So after all that speculation, this is the new thing you can “play” in 2013.